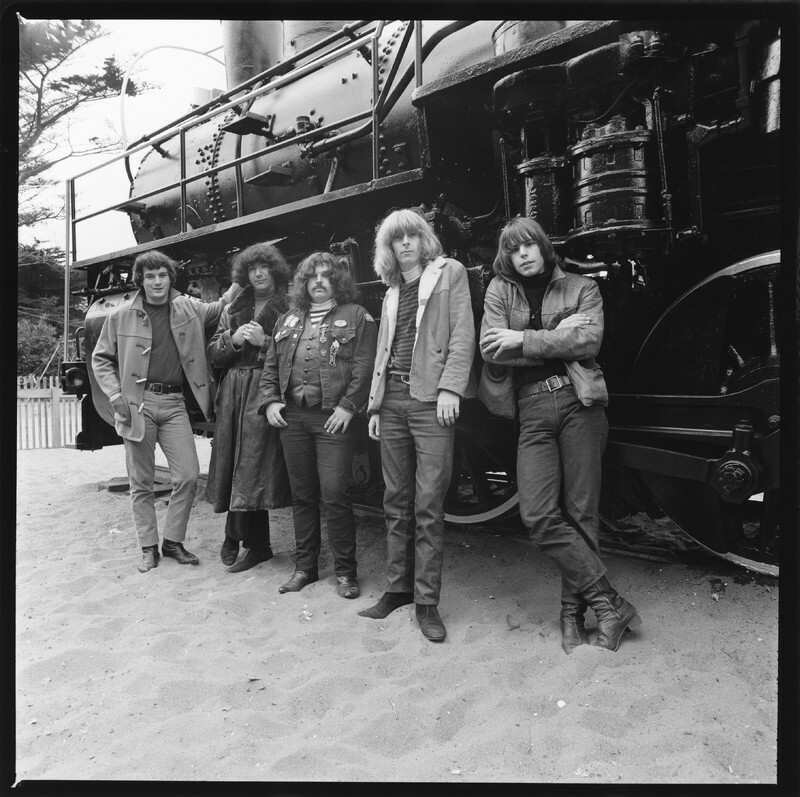 Greene, Herb, 1942-, “Grateful Dead in Golden Gate Park: Bill Kreutzmann, Jerry Garcia, Ron "Pigpen" McKernan, Phil Lesh, Bob Weir,” Grateful Dead Archive Online, accessed April 22, 2019, https://www.gdao.org/items/show/513185. Book of the Dead : celebrating 25 years with the Grateful Dead / photographs by Herb Greene ; foreword by Robert Hunter. [New York, N.Y.] : Delacorte Press : Delta, c1990, p. 55. This work is available from the UC Santa Cruz Libraries. This digital copy of the work is intended to support research, teaching, and private study. This work is protected by the U.S. Copyright Law (Title 17, U.S.C.). Use of this work beyond that allowed by "fair use" requires written permission of the copyright holder(s). Responsibility for obtaining permissions, and for any use and distribution of this work, rests exclusively with the user and not the UC Santa Cruz Libraries. If the work itself or our research has indicated a current copyright holder, that information is included in the Copyright Holder field. When available, contact information for requesting permission can be found on the UCSC Library Digital Collections Copyright Permissions Page. If you have additional or conflicting information about ownership of rights in this work, please contact us at grateful@ucsc.edu.